The Worker’s Show opens TODAY!! Join us from 4-6pm at the Reclaimed Room for a special show months in the making. Building REsources staff exhibit their personal art and design works for the public to take in. Come see works by Archie, Angel, Dan, Micah, Matthew, Mauricio and more starting today and going through January 2nd. The artists will be available to discuss their endeavors. Support these beautiful people that spend every day helping you out in the yard whether you are bringing in a new donation or searching for that next great find. Food, Drinks, Fun and FREE! 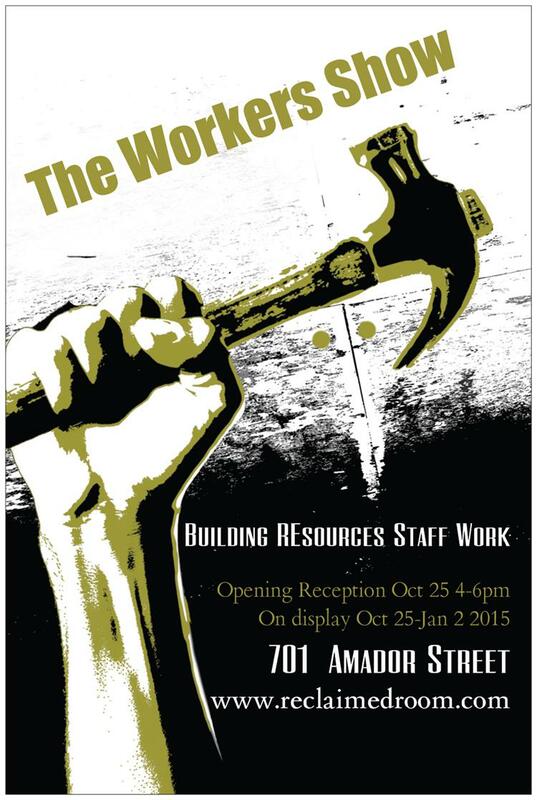 Building REsources staff strut their stuff in this highly anticipated new exhibit at the Reclaimed Room. See the artistic endeavors of the folks who man and woman the materials every day. Jam packed with unique handmade furniture designs, landscape art, mosaics, bikes, and much much more!